CITP Luncheons typically take place at 12:30 on Tuesdays during the academic year. 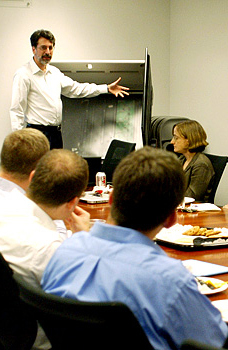 Speakers often discuss their works-in-progress or recent research findings. You can view upcoming luncheons or past luncheons. Promoting Democracy or Subverting Governance? Eric Berg – Is This Being Recorded? Hadi Asghari – Where are the Privacy Enhanced Services for the Masses? Alan Krueger – How Real is the Uberization of the Labor Market, and What Should be Done About It?